Shopping for Teenage Mutant Ninja Turtles Action Figures? 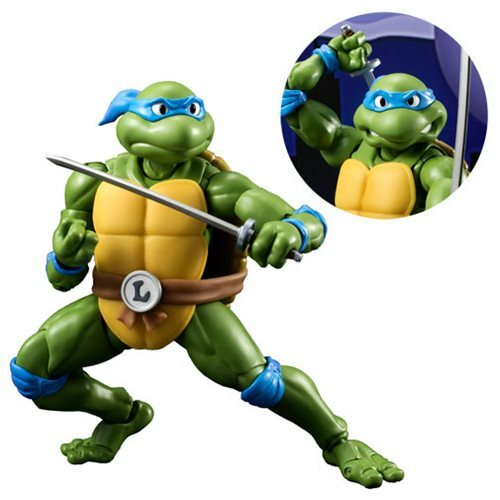 The leader and most pragmatic of the ninja brothers, Leonardo comes to life in your collection! This Teenage Mutant Ninja Turtles Leonardo SH Figuarts Action Figure features strategic use of die-cast material for realism in the buckle, and weight in the legs. Leonardo includes his iconic katanas, an interchangeable head, 3 pairs of interchangeable hands, weapon holding parts, and 2 manhole covers! Action figure stands about 6-inches tall. Ages 15 and up.